It wasn’t as simple as Edkin’s impressive performance. The track was racy and technical, just like the Marysville, Pa., driver likes it. Of course, it doesn’t hurt that Edkin was at the front. 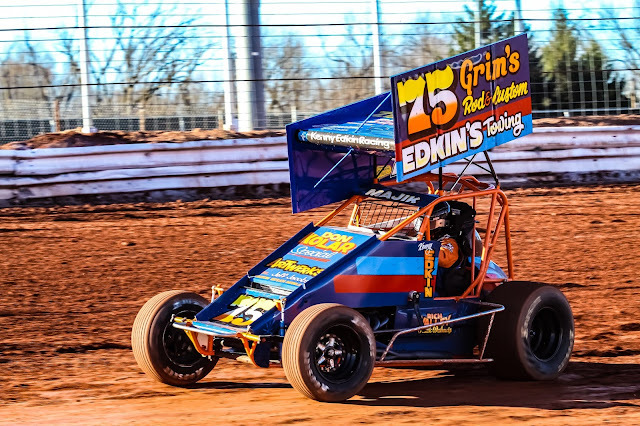 He led the entire 25-lap distance and collected his second BAPS Paints Super Sportsman win in three starts at the speedway to kick off the 2019 season. “We came prepared,” Edkin said. “We did a lot of homework over the offseason and tried to find the little things in our operation that needed addressed. “I ran, primarily, the top in one and two and the bottom in three and four,” Edkin said. “It was definitely technical. You had to keep an eye on the track, because there were slick spots and moisture spots. “You take track position anytime, but the surface was really racy,” Edkin said. “I think you could have started me 12th at the back of the invert, and the outcome would have been the same.